Air Duct Cleaning Cost, Have you ever wondered about the quality of the air in your house? You may find a layer of dust on your furniture each morning though you dusted the previous day. This dust may be blowing out from the vents due to clogged air ducts. Or, maybe you have allergies and you find yourself coughing and sneezing a lot in your house. There may be a buildup of pollen, dust and pet hair in your air ducts that are escaping into the air through the vents. If you think your air ducts are clogged, it’s a good idea to give us a call at (206) 319-5980. Our helpful staff members at Clean Air Solutions can set up an appointment to have your air ducts inspected and cleaned. Take a few moments to learn a little more about our different services as well as the costs. We have three packages for our air duct cleaning services. 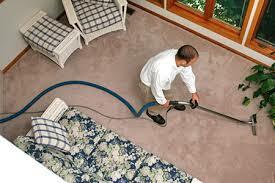 We have whole house cleaning, organic house cleaning, and air duct replacement services. We do an inspection for each package to evaluate the condition of your air ducts. We find out exactly what’s going on, so we can apply the right method of cleaning. The price for our whole house cleaning package is $125.00. We charge $225.00 for our organic house cleaning package. The cost for air duct replacement starts at $250.00. Our services are reasonably priced because we want our customers to have healthy, clean indoor air. Our technicians have the expertise to evaluate the condition of your air ducts and determine the most effective cleaning method. Plus, our technicians are knowledgeable and can answer any questions you have about the cleaning process. We are respectful of you and your property. 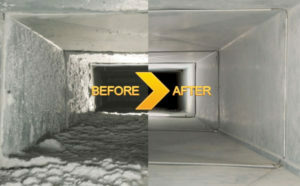 Our workers make it a point to clean up any messes connected with the duct cleaning process and leave your home looking as good as we found it. Our technicians use modern, advanced equipment to make sure the dust mites, dirt, pet hair, animal droppings, pollen and other debris are removed from your air ducts. Our company understands it requires cutting-edge technology to reach every area within an air duct where allergens and other harmful pollutants accumulate. Maybe you’re not sure about the cost of having your air ducts cleaned. Our Seattle business provides you with a free estimate for the work, so you can take some time to decide whether you want to set up an appointment for a cleaning. We are a no pressure business that wants you to be comfortable throughout every step of the process. We know from experience that having air ducts cleaned can greatly improve the air quality in a residence. We invite you to call now to schedule an appointment, so you can breathe easier inside your home. © 2017 LLCThe Clean Air Solutions, - All Rights Reserved.